OKLAHOMA CITY – Oklahoma City Public Schools Superintendent Rob Neu started his new position in the district on July 1, and changes are coming. 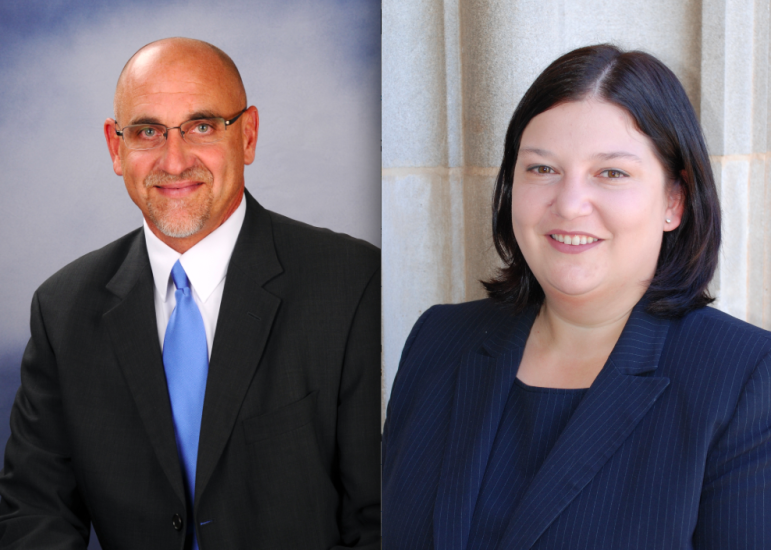 To learn more about his thoughts and plans, attend the next Oklahoma Watch-Out public forum with Superintendent Neu and Aurora Lora, associate superintendent of student achievement and accountability, from 6 p.m. to 7 p.m. Tuesday, Sept. 30. The forum will be held at Kamps 1910 Café at 10 N.E. 10th St. in Oklahoma City. Executive Editor David Fritze and other members of the editorial staff will moderate the discussion. Those interested in attending are encouraged to RSVP to events@oklahomawatch.org and come with questions. Oklahoma City Public Schools board members voted unanimously in April to hire Neu to replace Karl Springer, who retired in August 2013. Interim Superintendent Dave Lopez left the district in mid-August. The OKCPS district consists of 46,000 students, 89 schools and more than 5,000 staff members. Before joining OKCPS, Neu served as superintendent of schools in Federal Way, Washington, a Seattle-area district with 23,000 students. He led education reform initiatives in equity, policy development, standards-based education and global learning. Federal Way’s Academic Acceleration policy closed the opportunity gap in advanced placement student enrollment and was passed into law by the Washington state legislature in 2013. Lora previously served as an executive director for the West Seattle Schools Region of Seattle Public Schools. She left in 2012 to become an assistant superintendent-strategic leadership for the Dallas Independent School District, where she addressed issues related to human capital management, facilities, operations, safety and budget for 223 schools. As OKCPS associate superintendent, Lora is developing, implementing and supervising district-wide curriculum. Lora is working closely with human resources to train and evaluate staff and monitor student achievement and school effectiveness. Superintendent Neu’s 100-day transition plan, called “Neu Move,” is currently underway to “explore what OKCPS is doing well, where we need to improve and how the community can support district leaders for the next 100 days and beyond.” The plan also states, “Feedback from parents, community, business leaders, students and staff is important as we work together for the success of our students.” The next Oklahoma Watch-Out is one opportunity to provide such feedback.